With so much happening in the world of plastic surgery, the internet is a great source for finding out much needed information. It is with this new site that Dr. Miguel Delgado wishes to extend his vast knowledge of cosmetic surgery to those who are seeking the most up to date procedures and products available. There is a lot of information now through the media, stories such as what Heidi Montag has been going through can be confusing. 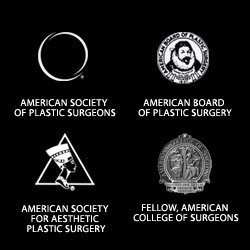 How does one figure out if a product or plastic surgery procedure is actually safe and delivers what is promised? Where better than your plastic surgeon to find out if the “something new” is actually of benefit to the patient or to the benefit of the manufacturer. This entry was posted on Wednesday, September 8th, 2010 at 6:38 pm	and is filed under Home, Plastic surgeon. You can follow any responses to this entry through the RSS 2.0 feed. Both comments and pings are currently closed.